Alexandre has been with SCALINX since 2015 . His technical skills include signal processing, software, analog and mixed-signal IC design with a focus on Phase Locked Loop design. He received his Master of Science in Electrical engineering from ESIEE. At SCALINX he is part of the Analog/Mixed-Signal design group. 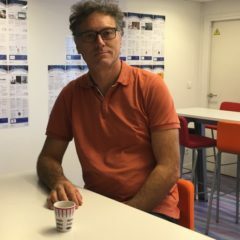 Hervé has been with SCALINX since 2016 after spending 23 years at Philips Semiconductor, NXP and IDT. 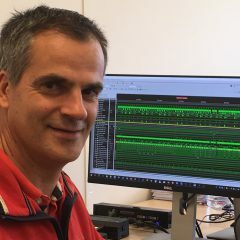 He gained extensive experience in designing analog and RF functions for transceivers, high-speed Data-Converters for Oscilloscopes and Cellular Base-Station. Herve received a Master of Engineering, Electronics and Communications from ENSICAEN in Caen. At SCALINX, he is part of the Analog/Mixed-Signal design group. Lionel has been with SCALINX since 2017 after spending 18 years at Philips Semiconductor, NXP and IDT as Analog and RF IC design engineer. He knows the entire IC development flow from concept definition to product delivery including circuit implementation in CMOS and BiCMOS, layout, packaging and characterization. He received his Master of Science in Electrical engineering from University of Bordeaux. 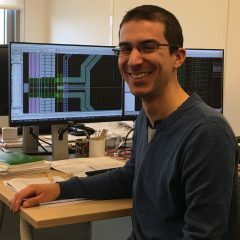 At SCALINX he is part of the Analog/Mixed-Signal group. 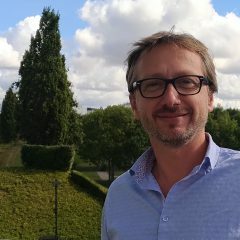 Luc has been with SCALINX since 2017. Luc’s career started in 1989 at Philips Semiconductors in Caen and then in Sunnyvale. Over 28 years he gained extensive experience in all aspects of digital design including RTL design, verification, synthesis, formal validation and design for test. From 2007 to 2015 he was a staff digital/Mixed-Signal engineer with NXP/IDT, designing digital calibration systems and JESD204a/b serial interface for high-speed pipeline A/D Converters. He received a Master’s degree of Physics Engineering from ENSIEG and a Master in Embedded System Architect from Centrale-Supelec. At SCALINX he is part of the digital design group.